I haven’t checked in on Puran Software in quite a while. Many of you know them from the excellent freeware program Puran Defrag. I knew they were working on Puran Utilities but frankly I got sidetracked and forgot about it. Vishal is the software guy over there and he asked me to give his newest freeware utility a run through. It’s called Puran File Recovery. Test 1 – Deleted files, emptied recycle bin, rebooted and searched for files. Attempt recovery. Test 2- Deleted partition, created another partition over it, searched for files. Random Tests – See below. 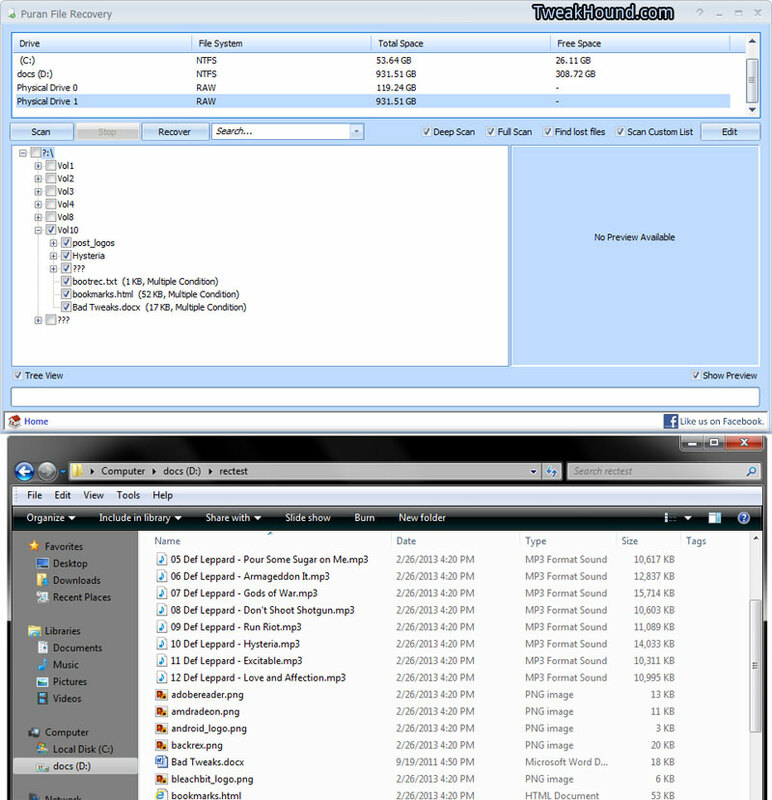 Basic test – Deleted files, emptied recycle bin, rebooted and searched for files. Attempt recovery. Search was blazing fast. Found and restored the specific files I was testing for. Found files I deleted months ago too! The user interface is straight forward. For basic file recovery: Select the drive > press the Scan button > when scan finishes select the files you want to recover and press the Recover button > Choose a method, in this case I choose Just Recover > choose a recovery location, preferably on another drive / partition. Advanced test – Deleted partition, created another partition over it, searched for files. If you have used a file recovery program before, you know you need to RTFM. If you haven’t used a file recovery program before then you really need to RTFM. Every file recovery program I’ve every used requires you to understand more than just pushing a button to go beyond a basic scan and recover. This test basically scanned the entire 1TB hard drive, bit-by-bit. This takes a long time. I threw a couple of old hard drives into my last XP dinosaur. I have a pile of these PATA drives that have manufacture dates ranging from 2002-2006. Most have had the partitions deleted and recreated. I was able to successfully scan these drives and recover files. In fact I’m going to scan every one of them, I’m just curious what’s on them! I’ve used other file recovery tools (both free and not) that weren’t up to the task. Puran File Recovery exceeded my expectations. You can download it separately or bundled with all the other excellent Puran freeware in Puran File Utilities. Puran File Recovery is a great file recovery program and one Cool Tool. I highly recommend it. TweakHound - Optimize Your Computing Experience! Copyright 2002-2019 by Eric Vaughan All material contain here is the property of the materials owner. Windows, Windows XP, Windows Vista, Windows Seven, Windows 8, Windows 10, Microsoft, and all associated logos are trademarks/property of Microsoft. 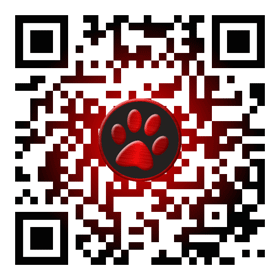 You may not use or copy any material from tweakhound.com without expressed written permission. Hotlinking to any material within this site is forbidden.